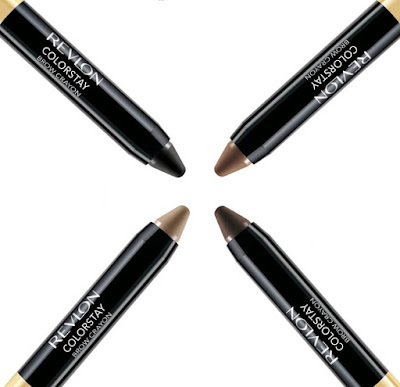 Revlon ColorStay Brow Crayon - $10.99 - in 4 shades: Blonde, Soft Brown, Dark Brown and Soft Black - defines and shapes in just one easy sweep with buildable, blendable, waterproof colour with a wax to powder finish that wears up to 24 hours. This is a great pencil if you are looking to fill in sparse areas on the brow or darken the colour but not fine enough for drawing in individual hairs. I'm officially requesting that Revlon come out with an Auburn one, it's perfect for my lazy girl style of makeup!